An apparent shift toward longer wavelengths of spectral lines in the radiation emitted by an object caused by the emitting object moving away from the observer. 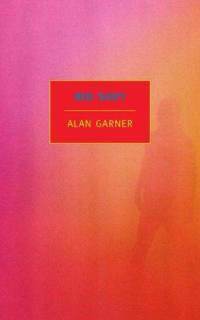 A book in which more is implied than said and where blank spaces carry more thought than the ink, Alan Garner’s 1973 multi-historical novel Red Shift asks to be re-read. Recently republished in the NYRB’S Classics collection, Red Shift presents a narrative neither traditional nor archetypal, but undoubtedly excellent. Instead of introducing characters and settings, Garner compels readers to unravel his plot from a few characters’ terse interactions. Unlike many description-obsessed historical novels, Red Shift minimizes scenic depictions; it focuses on how different characters communicate in the same location across time. Line after line of unattributed dialogue generates confusion and miscommunication, but it also offers space for unexpected play. Garner masterfully incorporates humor, detail, and emotion into his laconic interactions. In the rare moments when unspoken description occurs, it frequently continues the conversation through body language. More a tale of communication than of events, explicit references to impersonal history often provide distraction, even relief, from the interpersonal intensity which consumes the novel. For instance, one character regrets the loss of latin masses as Catholicism is further rejected from England during the Civil War. This entertaining aside about Protestantism’s vernacular services also comments on the novel’s greater message. Garner explores the troubling demystification that results from understanding—the lurch of realigning one’s imagined truth with someone else’s reality. With authorial guidance frustratingly sparse in Red Shift, readers are left to interpret on their own, building a world from conversation. Fortunately, Red Shift is not reality. Readers have more than one chance to decipher its harrowing, fascinating world.